The following books present different perspectives on the post-crisis financial world. 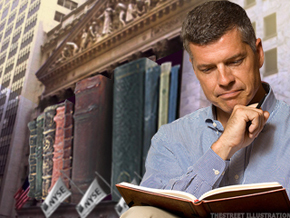 NEW YORK (TheStreet) -- Last week's edition of Summer Reading, featured three books on Wall Street to get you all fired up about overhauling our financial system. We're not done with Wall Street just yet. This week, we take a look at the greedy characters on Wall Street and the regulations that created the opportunities for Wall Street's excesses. These books go beyond the blame game, offering recommendations for "fixing" Wall Street, and presenting different perspectives on the post-crisis financial world. The sequel to Wall Street, the 1987 film on corporate greed, won't be in theaters till the fall, but a book about Gordon Gekko -- the morally bankrupt tycoon played by Michael Douglas -- might be an entertaining read this summer. 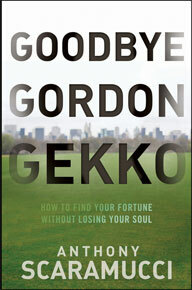 In Goodbye Gordon Gekko, Anthony Scaramucci writes about our radically changed economy, and how the financial crisis was caused by Gekko wannabes. Drawing from years of experience at Goldman Sachs ( GS - Get Report), he offers an inside view of life on Wall Street, including the temptations and egotistical tendencies of its real-life characters. Scaramucci, who is the founder and managing partner of New York-based SkyBridge Capital, says his Wall Street career began the day he saw the original Wall Street movie. He writes: "It was an iconic movie that marked the beginning, not the end, of an era characterized by all the destructive forces of greed and envy that we as a nation and world are now trying to sort out." Interesting sidebar: Scaramucci was Oliver Stone's technical adviser for Wall Street 2: Money Never Sleeps. Have you read this book? Add your comments below. In this book, Dowd and Hutchinson walk us through 300 years of financial history, pointing out along the way what's wrong with modern finance and modern economic policy making. They debunk the belief that financial risks are predictable and that financial innovation makes markets more stable. Modern quantitative risk management, they say, is "no more than an arcane cult that has helped to disguise risk-taking on a huge scale while pretending to do the opposite." Loose monetary policy, the authors write, should be ditched. "Out-of-control spending has made the recent crisis more damaging than it would have been." In its place they propose a return to some sort of commodity-based monetary standard. If that doesn't work, they think the Fed should be given a "politician-proof governance structure" with only one goal: to pursue price stability. 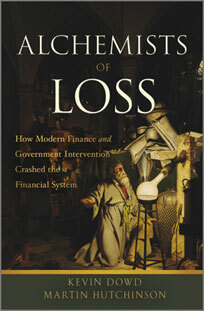 Many books out there talk about what caused the recent financial crisis and how it's taking the economy down. Anatole Kaletsky presents a different perspective -- why America should be thankful for the crisis. 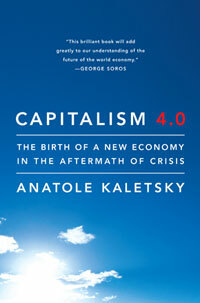 For one, Kaletsky argues, the crisis has reminded Washington that capitalism needs strong and competent government, bringing it back into the mainstream of world opinion and strengthening America's intellectual leadership in the world. The future doesn't look so bad if we choose to believe Kaletsky's theory. In Capitalism 4.0, he describes the financial crisis as all part of democratic capitalism's evolutionary process, which began in the late 1700s. Now we are moving into the fourth phase of that evolution -- where having learned from the mistakes of the past, "capitalism and democracy appears to favor self-improvement rather than self-destruction."